The East End. Where Culture & Creativity Begin. 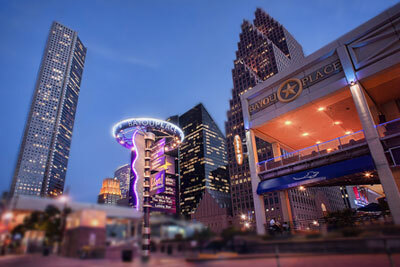 Embrace the entertainment, culture and creative atmosphere of downtown Houston’s East End. Working in the East End has many perks such as a variety of restaurants, entertainment, and more. Whether you are in the mood for mexican food, a craft brew or some live music, you can find it all within a 2 miles of Headquarters. The Greater East End has wealth of information on our historic neighborhood. The Original Ninfa's on Navigation is only a 8 minute walk from HQ. Located At: 708 tELEPHONE RD. 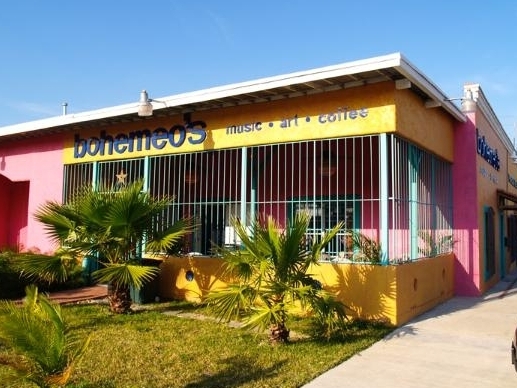 bohemeo's is the place to get a variety of coffee, healthy food, and of course beer. Located at: 304 Sampson St. Champ Burger is the perfect place to grab some burgers and fries and is only a 6 minute walk from HQ. South American cafe serving homestyle fare, ceviche & organic coffee in a casual, art-filled space and an 11 minute walk from HQ. Lively branch of a family-run cantina chain known for potent margaritas & hearty Tex-Mex dishes and a 8 minute walk from HQ. Casual, family-run Italian joint dishing up spaghetti & meatballs & other comfort fare since 1975. A VARIETY OF DELICIOUS BREAKFAST TACOS SERVED ALL DAY WITH THEIR VERY OWN HOMEADE FLOUR TORTILLAS AND ONLY A 3 minute walk from hq. LOCATED AT: 4409 CANAL ST. ENJOY THE VARIETY OF FOOD FROM PIZZA TO HOT DOGS. ALL OF THEIR FOOD IS COOKED IN THEIR OVENS AND NOTHING IS DEEP FRIED. ONLY A 13MINUTE WALK FROM HQ. Homemade mexican food with exeptional guacomole and breakfast tacos right across the street from hq. LOCATED AT: 2118 lAMAR sT. LOCATED AT: 3004 Canal ST. Moon Tower Inn cookshack and sudworks. Houston Texas' one and only brew pub AND ONLY A 3 MIN WALK FROM hq. LOCATED AT: 2019 Walker St.
Sports bar near Downtown attractions offering a massive beer selection & indoor-outdoor seating. LOCATED AT: 823 Dumble St. DIVE BAR AND ICE HOUSE WITH POOL TABLES AND OUTDOOR SEATING. newly renovated bar serves tasty adult snowcones, beers, and even paninis. A public urban park with a lake, bandstands and venues for public performances, two dog runs, a children's area and multiple recreational areas AND LESS THAN 2 MI FROM hq. the entertainment district, complete with dining, hotels and nightlife, for the George R. Brown Convention Center in downtown Houston AND LESS THAN 2 MI FROM hq. BBVA Compass Stadium is an American soccer-specific stadium that is home to the Houston DynamoS. tHE OFFICIAL BALL PARK OF THE HOUSTON, TEXAS ASTROS AND ONLY 1 MILE FROM hq. AN INDOOR THEATER LOCATED IN THE BAYOU PLACE ENTERTAINMENT COMPLEX IN DOWNTOWN. a DOG FRIENDLY, PUBLIC PARK WITH ENTERTAINMENT, GOOD EATS AND A GREAT BAR SCENE THAT'S LESS THAN 2 MI FROM hq. Various music styles are showcased at this basic general-admission concert venue with a small bar. The Esplanade is also home to a weekly farm market, with offerings from local organic farmers and vendors, each Sunday from 10 am to 2 pm. A hISTORIC PARK WITH family-friendly amenities, green spaces and a splash pad, alongside the historic elements so important to the East End community.